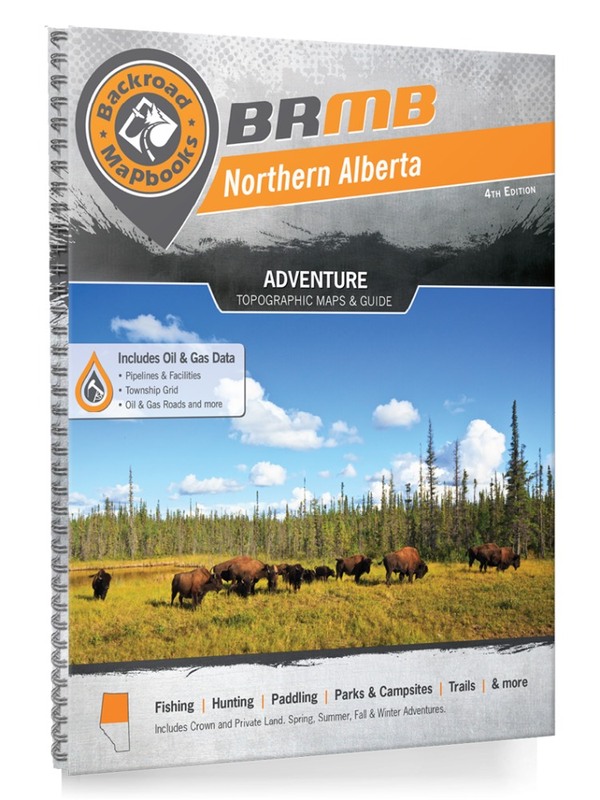 This recreation topographic Mapbook of Northern Alberta highlights all the logging and resource roads, Oil & Gas sites, hunting areas, fishing lakes and streams, campgrounds, backcountry campsites, paddling routes for canoeing and kayaking, wildlife viewing areas, motorized trails for ATVing and snowmobiling, multi-use trails for hiking, mountain biking, snowshoeing and cross-country skiing and more. Featuring 97 maps in total, this Mapbook covers 423,675 km2 (163,580 mi2). Maps 1-83 are 1:250,000 scale while maps 84-97 are 1:500,000 scale. Also included are the border areas of BC, Northwest Territories and Saskatchewan for a seamless transition into those provinces and territories. New features include private land and labelled fish species and countless new roads, trails and Points of Interest. Also includes enhanced oil & gas resource information, Township and Range grids, more detailed water features and seismic line corridors. These maps include Athabasca, Birch Mountain Wildland Provincial Park, Fort McMurray, Fox Creek, Fort Chipewyan, Grande Cache, Grande Prairie, Hay River, High Prairie, Lac la Biche, Marguerite River Wildland Provincial Park, Notikewin Provincial Park, Peace River, Slave Lake, Smoky River, Swan Hills, Wapiti River, Wood Buffalo National Park and more!